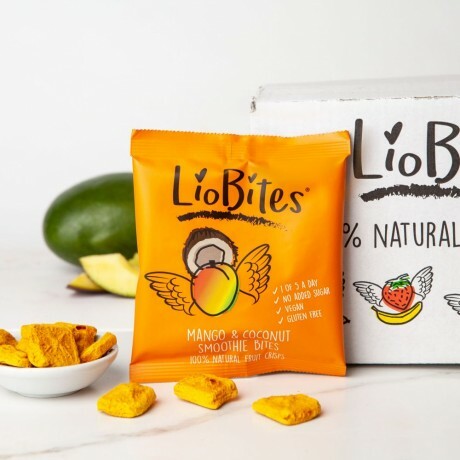 Box of 15 packs of delicious Mango & Coconut smoothie bites. 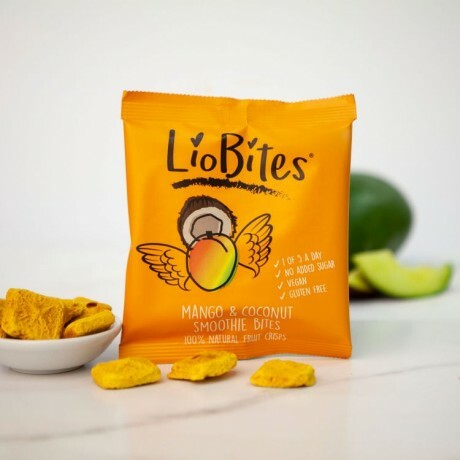 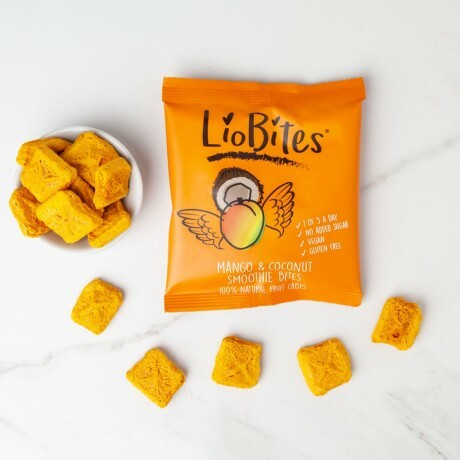 Fresh Mango and peach are blended and mixed with coconut milk and carrot and apple fruit juices, formed into squares and freeze-dried to create a crunchy fruit crisp. 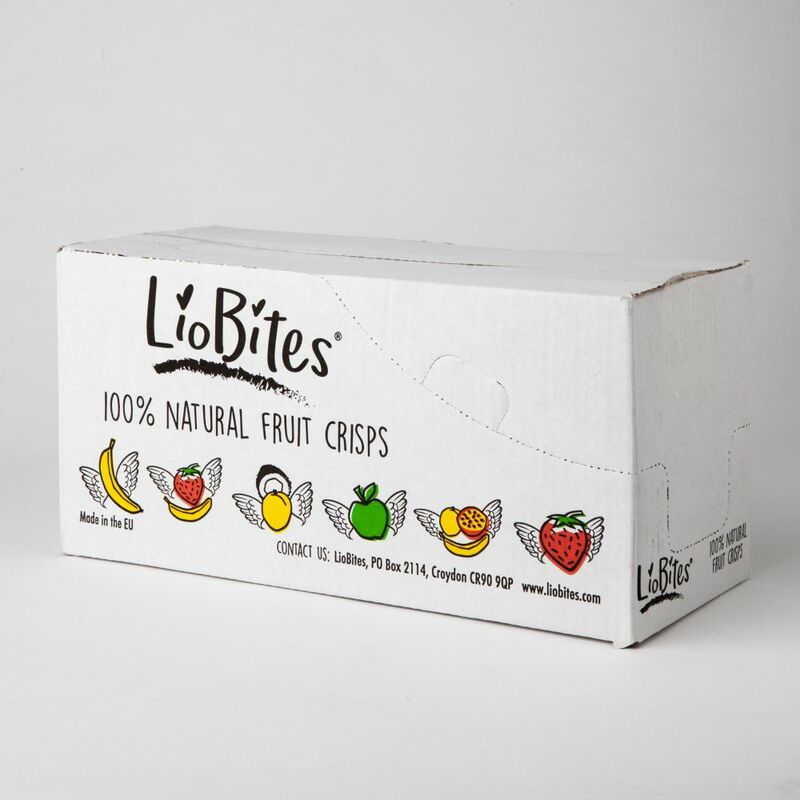 The method of freeze-drying allows most of the vitamins and minerals in the fresh fruits, plus their great taste, to be retained. 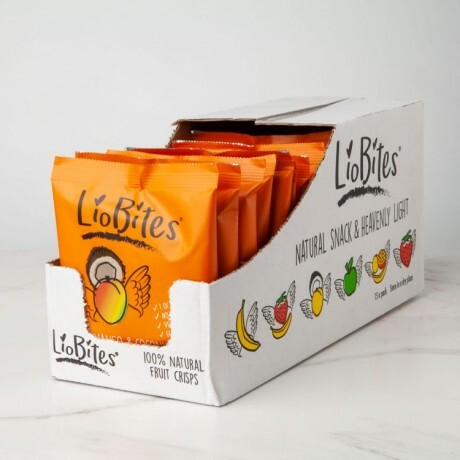 15 packs, each pack is 18g.